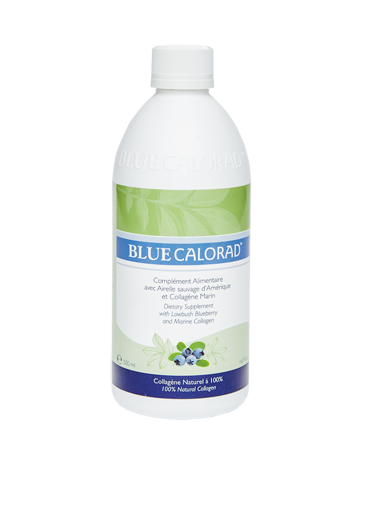 Blue Calorad®, composed of collagen, amino acids (Arginine, Glycine, Lysine, and Glutamine) and enriched with a powerful antioxidant made from blueberries, has a beneficial effect on the immune system, muscles, and tendons. Its natural formula contributes to increasing resistance to fatigue by limiting energy expenditure, whether in daily tasks or physical activities. 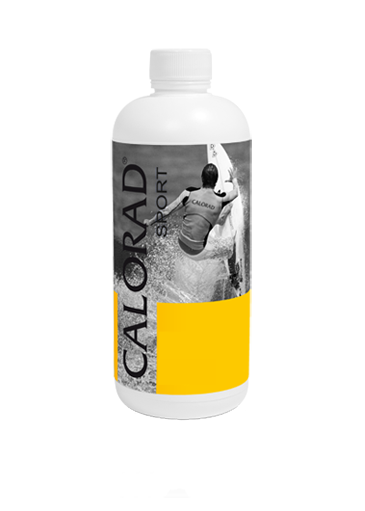 Blue Calorad®’s natural formula can increase resistance to fatigue. Its immediate effect is to limit energy expenditure during daily tasks and physical training. Blue Calorad® helps the body naturally replenish its collagen reserves by giving it a chain of amino acids such as Arginine, Glycine, Lysine, and Glutamine, with their well known beneficial effects on the immune system, muscles, and tendons. It’s enriched with a powerful blueberry-based antioxidant. 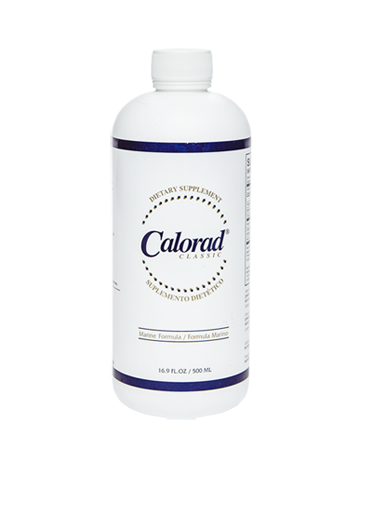 Each day, take a half-ounce of Blue Calorad® diluted in a glass of water. 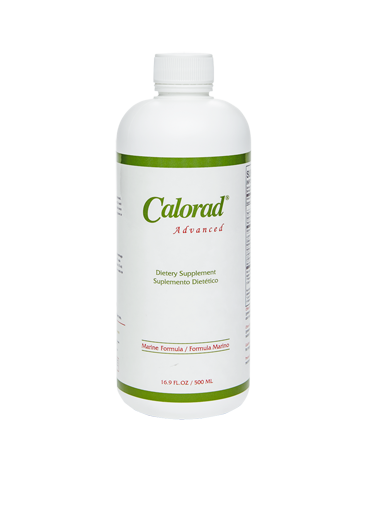 Before physical activity: take a half-ounce of Blue Calorad® diluted in a glass of water. For excellent results, it’s important to take Blue Calorad® for a long enough period to let it work in perfect synergy with your body. Since Blue Calorad® is a natural product, it is recommended to use it for three to five consecutive months. By combining it with regular exercise and a balanced diet, you will experience its positive physical effects and you will progressively notice the extent of those benefits. Every day, our body is subjected to irritating environmental factors that can weaken our system, which reduces natural collagen production and accelerates aging. Blue Calorad® dietary supplements will help you maintain good health and protect you against the harmful effects in your everyday life. Water, glycerin, sodium benzoate (preservative), potassium sorbate (preservative), citric acid. Warning: Do not use as your only source of nutrition.